Dimensions: total height 82cm, seat height 45cm, width 48cm, depth 58cm, weight 4,5kg. Available colors: White, Silver grey, Dark grey, Black, Taupe, Teak, Brown. 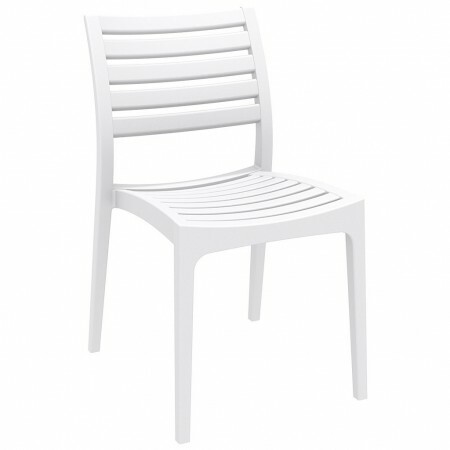 ARES is a comfortable and elegant stackable chair. Equipped with great practicality, can be used both in external and internal environments. ARES is the perfect chair in furnishing any space: from the kitchen to the terrace to the dining room. Excellent solution both in private and in contract projects, where the intense and continuous use of the products is frequent and where the robustness in the long term must be a guarantee. 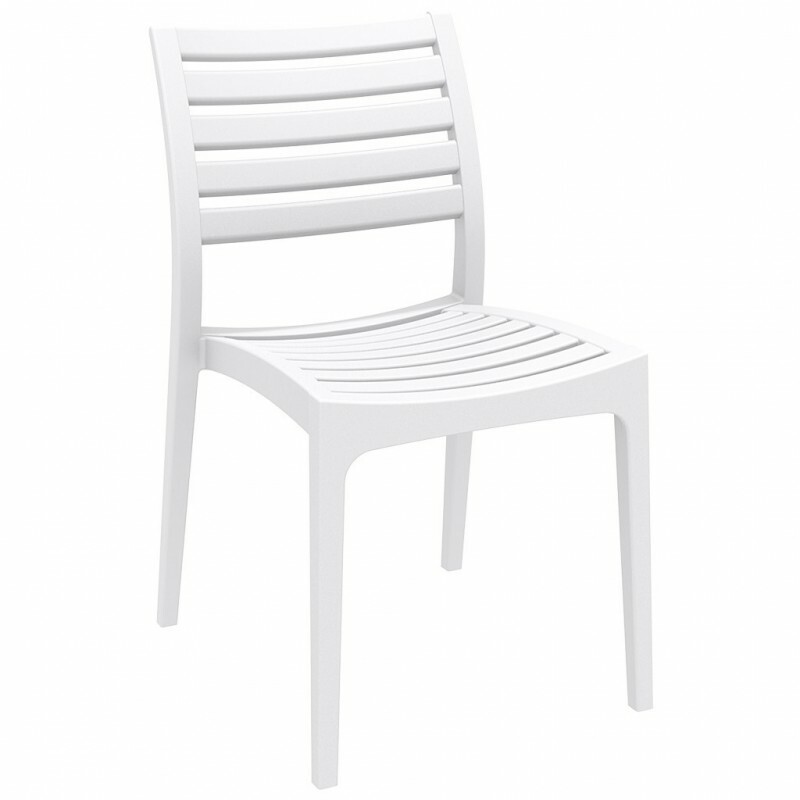 ARES chair is realized with single injection of polypropylene reinforced with glass fiber by means of air molding technology of the latest generation. Product with treatment against atmospheric agents and UV rays.